Curated Cocktails | Facciamo Festa! Contemporary art. Cocktails. Local DJs. Interactive art experiences. Let’s do it again! Curated Cocktails is back with an Italian twist inspired by the current exhibition, Lara Favaretto. 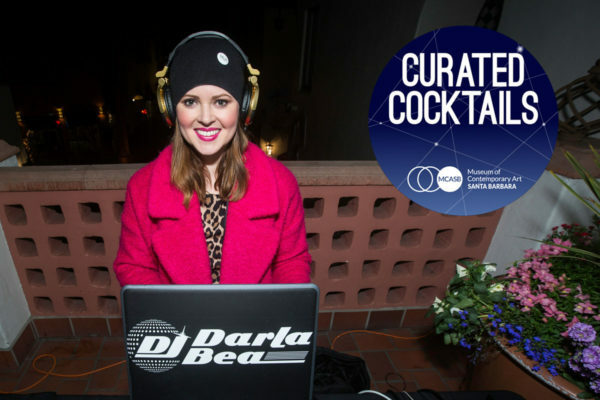 Bellinis, beats by DJ Darla Bea, and book prescriptions make for a memorable late-night experience for you and your friends at MCASB and the Paseo Nuevo Upper Arts Terrace. Curated Cocktails are part of Downtown Santa Barbara’s 1st Thursdays. Special thanks to our community partners Santa Barbara Public Library and August Ridge Vineyards. Register for Event: Curated Cocktails | Facciamo Festa! Your ticket for the: Curated Cocktails | Facciamo Festa!